We arrived back on Pine Island on Friday afternoon. We made a quick stop at Andy’s Island Seafood in Matlacha (Mat-La-Shay) to pick up 100 clams for $29.50 (what a deal) for our celebration on Saturday. 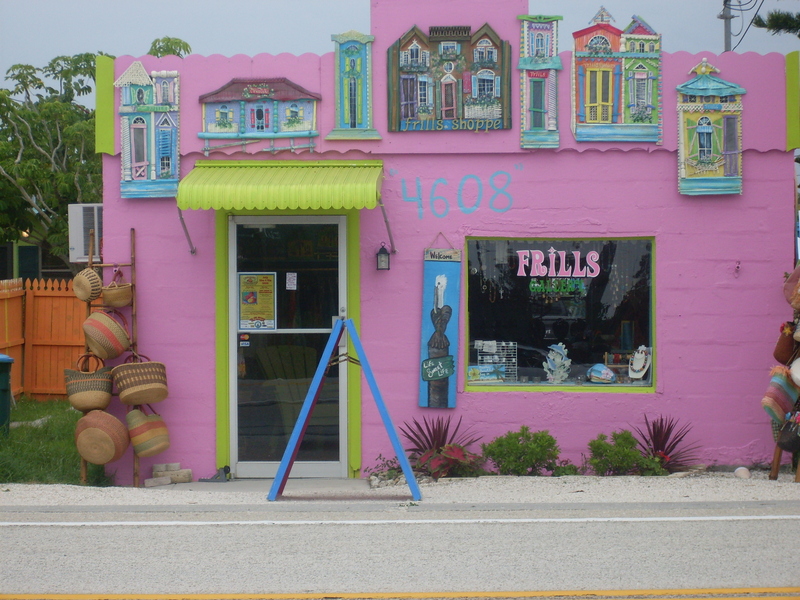 Matlacha is a cool little stop on the way to Pine Island. It reminds me of an extremely quirky Eureka Springs, Arkansas. My sister and I took the girls to the awesome saltwater public pool again. I was able to get a half an hour of lap swimming in. The guys (my husband, my son and my brother-in-law) headed out to Pine Island Sound for fishing. They caught a lot of fish but only one keeper. They didn’t care though, they reeled in quite a bit of interesting stuff. The kids usually decorate their bikes and ride in the festive parade that was held on Saturday. But this year, they opted out. 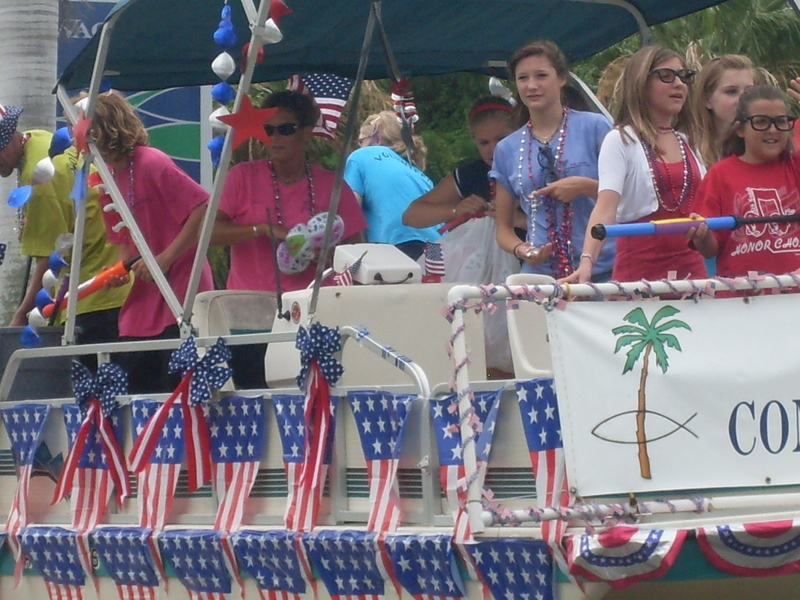 Actually, they nearly opted out of the parade in general. I think every one was tired from swimming and traveling. On the other hand, Jeanine and I were up until almost midnight, preparing food and things for the party. My parents and all the guys took the kids to the parade once they decided they wanted to go. They got lots of candy and had a good time in general. 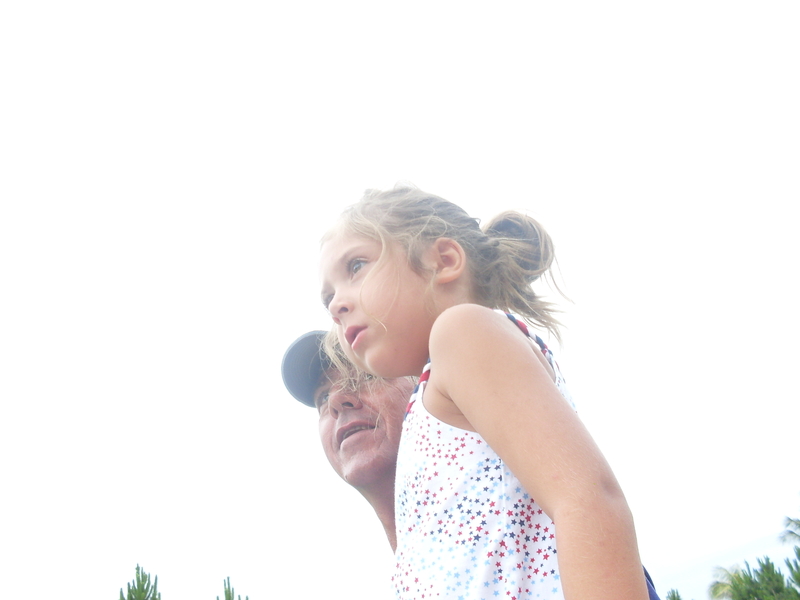 Darryl (my brother-in-law) and niece Ava at the parade. Categories: family, travel | Tags: matlacha | Permalink.